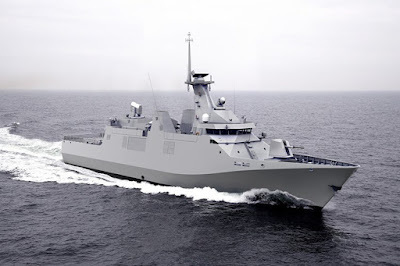 MaxDefense Philippines, in a blogpost today said that a plan by the Philippine Navy to acquire one (1) corvette in 2018 under the second horizon of the Armed Forces of the Philippines (AFP) is currently in the proposal stage. According to the post, proposed budget for acquisition is at PHP14,000,000,000.00, as of September 2017. Maxdefense, said that throughout the second horizon the Philippine Navy is planning to acquire a total of two corvettes. “And aside from the Corvette, the PN is planning to have another 2 frigates for funding within Horizon 2, and learning from their mistakes on the FAP, the proposed budget for each frigate is now Php 18 billion, or double that of the FAP,” it added. The second horizon will start 2018 and will end in 2022. Marky. This a part of PN's 2018 submitted proposal waiting for funding approval from the National Government. The proposed budget for this project is 14B, of which it include the sensors and armaments unlike the downgraded frigates which cost 9B each. From the budget proposal alone, you can already conclude that this is a more capable ship than the two frigates, and there is another corvette coming after this under 2nd horizon. Aymokay just because Maxdefense said that PN has plans to buy corvette does mean it happens next year. The PN will still change the plans in relation to what the government will allocate and there is no bidding yet has taken place. Cukupnya sih cukup mas, cuma sebiji korvet ini.